OLIVE WOOD HANDLE 7,5 CM STAINLESS STEEL BUSHCRAFT FIXED BLADE KNIFE JOKER ERIZO. 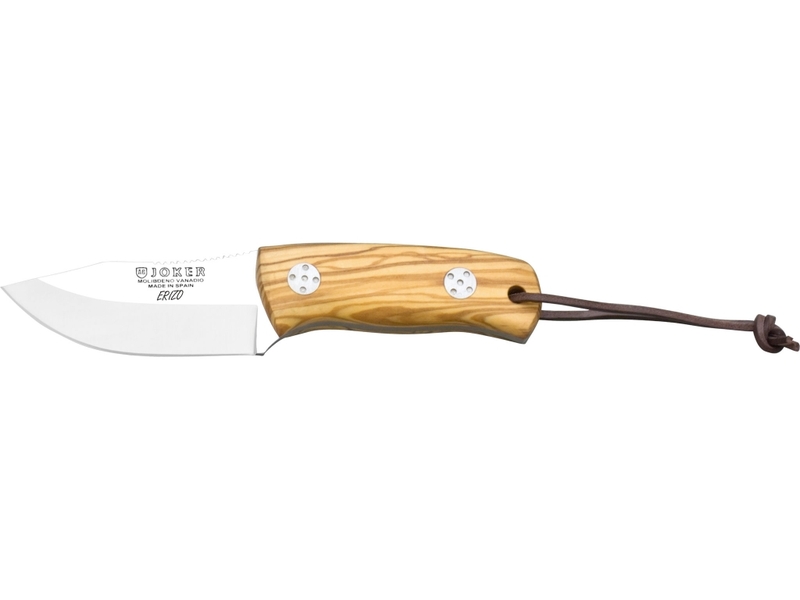 Joker Erizo sport knife is a small knife specially designed for your outings to the bush whether hunting, bushcraft, survival, camping or any type of outdoor activity. The Joker Erizo knife is perfect to help you with any task you need as a cutting tool. It is a sports knife made of Molybdenum Vanadium 1.4116 stainless steel with a blade length of 7.5 cm and click point tip type. It also has a smooth crenellation on the spine to facilitate the grip of the knife under any situation. The knife comes with a premium leather case with a draining hole on the bottom. As for the finishes you have it available in different types of grips such as olive, deer, rosewood, bocote etc.